TV At 60: Where was the party? 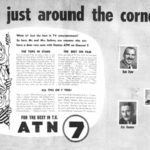 This year marked the 60th anniversary of Australian television… although the three networks to reach the milestone — ABC, Seven and Nine — all failed to do anything significant to mark this diamond anniversary. In the past the networks, particularly Seven and Nine, would have pulled all stops to promote the past achievements of themselves and the industry. This year the respective milestones passed with some trivial acknowledgement — perhaps as a footnote at the end of a news bulletin or airing a couple of oft-repeated classic station IDs pulled from YouTube. 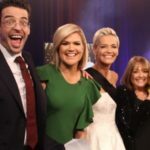 The on-screen celebration was largely left to morning TV shows Today, which presented a series of segments of the anniversary, and Studio 10, which to its credit devoted an entire three-and-a-half hour episode to pay tribute. Other than that the commercial sector’s only considerable “celebration” of its birthday was to host a corporate do in Canberra to launch its campaign to lobby the government for more licence fee cuts. And even then the event was held a month after the date regarded as the birthday of Australian television — 16 September. 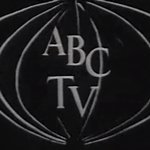 ABC’s 60th anniversary was marked by a mere alteration to its on-screen watermark which saw the ABC logo accompanied by the caption “60 years of TV”. Even considering the era of diminished budgets it’s an extremely underwhelming acknowledgement for a broadcaster that has much to be proud of over 60 years. Perhaps the industry is now reluctant to draw widespread attention to its increasing age in contrast to youngsters like Netflix. Maybe the industry feels that millennial viewers don’t need to be reminded that the networks they are watching now date back to when their grandparents were toddlers. Maybe it’s because the industry no longer has high profile identities who have had a lifelong connection to TV’s heritage. Names like Packer, Gyngell, Grundy, Crawford, Kennedy and Newton who had such a long connection to the industry from its earliest days are now no longer with us or have moved on. So there was no significant “celebration” for the viewers — the ones that have supported the industry and kept it in good health for six decades. The viewers that have paid the taxes and bought advertisers’ products that have kept these airwaves going. At a time when viewers are being told “Australia needs free TV” , the industry might have thought to demonstrate or better remind us exactly why this is and to better acknowledge those people, programs and events that have made it so. 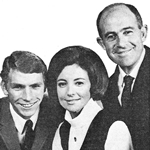 Meanwhile, this website presented its list of the Top 60 shows from the past 60 years and a look back at the early days of those first TV stations launched in 1956 — TCN9, HSV7, ABN2, ABV2 and ATN7. This year also marked some other significant milestones — 50 years since the launch of SES8, Mount Gambier, and FNQ10, Cairns, and the 40th anniversary of what was originally RTS5A, Riverland. Play School celebrated its 50th, and The Young Doctors and The Sullivans were both remembered for their 40th anniversaries. As Waleed Aly (pictured) collected the Gold Logie, we looked back at the TV Week Logie Awards from 50, 25 and 10 years ago. The year also marked some significant changes in the TV landscape — as WIN and Southern Cross swapped their affiliate partners after almost 30 years, while new channel 7flix launched, ABC3 changed to ABC Me, and SBS2 became SBS Viceland.